The design of PlayStation®Classic perfectly mirrors the original console, with the same logo, button layout, and packaging – but 45% smaller than 1994’s PlayStation. 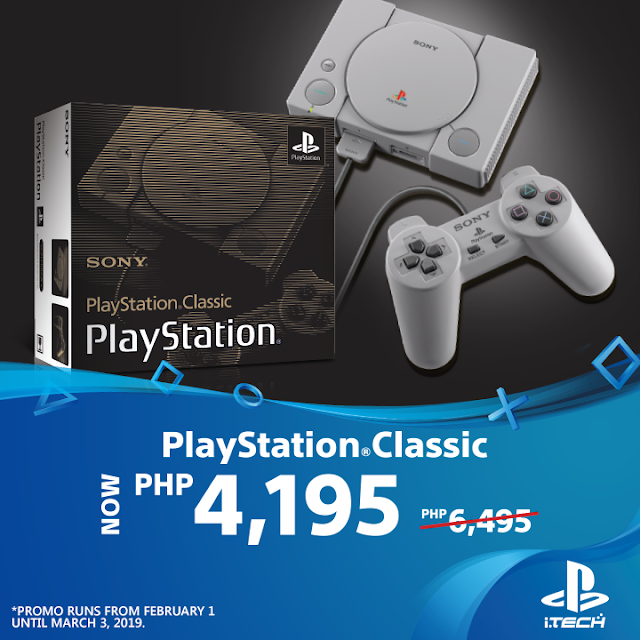 PlayStation Classic's original price is P 4,195.00 . Promo runs from Feb 1 to March 3, 2019. Get this now at PlayStation By iTech, located at SM City North EDSA Annex.